Birmingham NIA has been given a new look and renamed the Barclaycard Arena – and tonight's headline act are impressed with what they see. 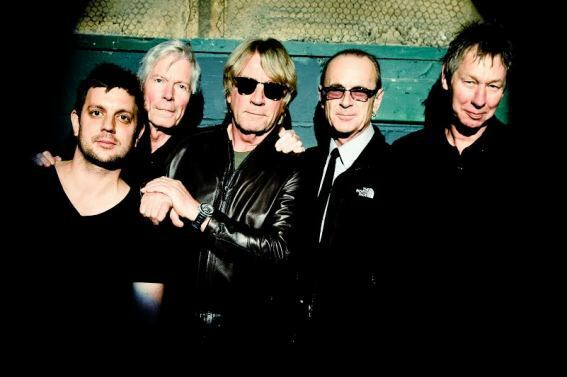 For many year's Status Quo have used the city's LG Arena at the National Exhibition Centre, a dozen or so miles from the NIA, for their pre-Christmas Birmingham show. 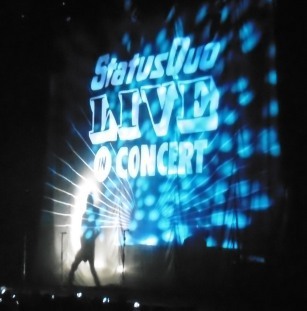 Saturday night's show was their first at the Barclaycard Arena. Having the audience to the right, left and in front of the stage, rather than employing a curtained-off section in the band's eyeline, certainly creates a much better atmosphere and Quo rose the occasion. Looking and sounding relaxed after a day's shopping at Birmingham's Bull Ring Shopping Centre, they launched into traditional opener, Caroline, and powered through the one hour, 40 minute show with gusto. 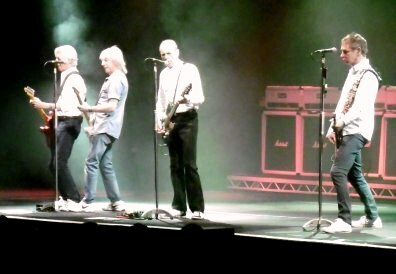 The set has been slightly tweaked so we lost favourites like 4500 Times and The Wanderer but gained Oh Baby, an old song from the Piledriver album initially revived for the two Frantic Four reunion tours which saw bassist Alan Lancaster and drummer John Coghlan temporarily rejoining Rossi and Rick Parfitt. 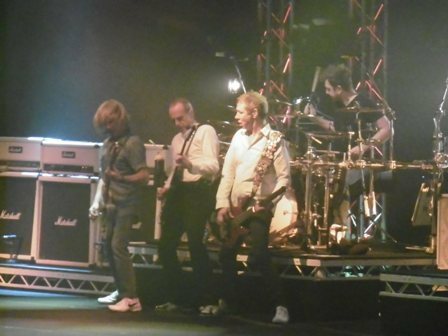 Those gigs were a huge hit with long-term fans but it must be said that the current Quo team of Rossi, Parfitt, John 'Rhino' Edwards, Andy Bown and Leon Cave are a much slicker outfit, probably due to the huge number of concerts they play together each year. Rossi's guitar playing, particularly the solos in the likes of Big Fat Mama and Roll Over Lay Down, get better every time I see him, although he complained that he was having to break in a new guitar in Birmingham. Parfitt's vocals were the strongest I've heard for some time, a good indication that his recent health problems are behind him. We'll even forgive the muddle he got into with the words to Creeping Up On You! 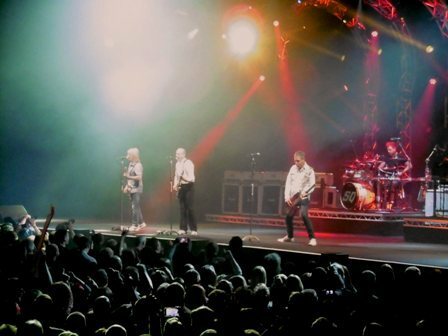 We'll see another side of Quo in 2015 when they undertake an acoustic tour that plays Wolverhampton Civic Hall on April 23. Bring it on!